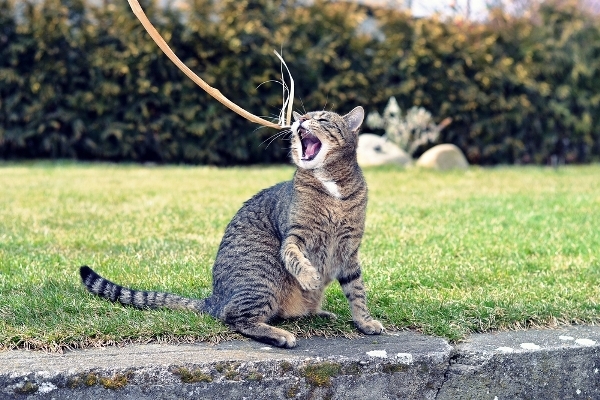 Cats need to play, and here are tips on how to work it into your daily cat care regimen. You’re a busy person. We all are. The world has gotten noisier and crazier. More stuff demands our attention. How do we do it all? What’s important and what’s not? And what about our cats? These cats need our love. They need our time. When we take them into our homes, we make a commitment to look out for their health and well-being. But there’s more than that. Cats are not the solitary and uncaring creatures that unfortunate stereotypes have made them out to be. Cats flourish with love and attention. This is part of our role when we take in a cat. So, how do we make sure that time for love and attention and bonding happens? How do we make that commitment? Spending time with your cats should be a priority. We all know that their lives are shorter than ours, so why not celebrate and appreciate our time with them now? To put it another way: At the end of your life, do you want to say, “I spent several hours a day on Facebook” or “I spent time every day loving and bonding with my cats, and we had the richest life ever”? I tend to look at lists and not see them, but that’s me. A planner or a list may work very well for you. 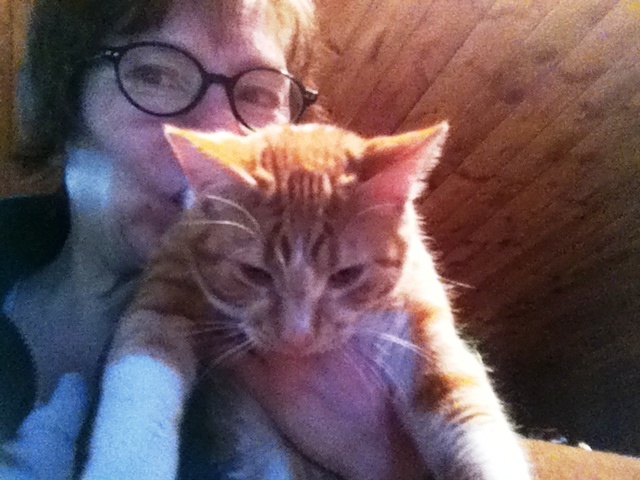 If if does, then schedule “cat time” and adhere to it. If you’re super busy, start small. Schedule five to 15 minutes of play or bonding time with your cat. You won’t be intimidated by a huge time commitment. And, chances are, you’ll have so much fun when you jump in that you’ll go over the allotted time. But trust me, your cats will appreciate and thrive from even a small bit of time. It’s all good. This works for me better than a planner. In my head, certain things are routine. I know that workout and yoga work best in the morning, for example. I know that I’m going to write cat articles on Monday mornings. And I know that play with cats happens best in our household after dinner. The cats have been fed and are happy, and they’re gearing up for nighttime antics. They’ve spent the day sleeping and are moving into their nocturnal rhythms. And so we often play regularly at night. TV time is a great time to get some cat bonding in. We’re just sitting on a couch. Why not also play with cats? I have dragged a Feline Fisher endlessly on the floor in front of me while watching House. It does wear our kitten Norton out. Though I prefer to play and be totally focused on the play, sometimes I multitask. If the cats don’t feel like playing, they’re usually on our laps. TV time is a great time to snuggle. Even better than TV time is getting off the couch and playing with your cat. Then you can drag the Feline Fisher around or throw a ball and chase it with your cat. You’ll feel better, and so will the cat. The energy in your living space will instantly go up up up, even on a dark winter night. When Angie Bailey and I recently did a cat appreciation night book-reading together, a veterinarian joined us. He had some great thoughts about providing stimulation and reducing stress for household cats, even when we can’t be in the house with them. One simple solution is to provide cats places to hide, which help them feel more secure. Boxes work very well for this. According to this vet, understanding your cat and what they need cuts down on stress for the cat and reduces the possibility of stress-related medical issues showing up. Are you busy? Too busy? How do you make time for your cat? Tell us your strategies in the comments! Do Your Cats Demand Snuggle Time, Like Mine? 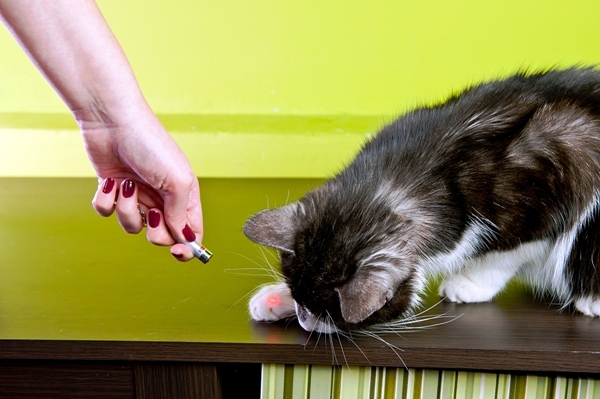 Are the Hours You Spend with Your Cat “Wasted Time”?